That is where Laurie Ingber and Carolyn Block Ellert step in. Their Fort Lauderdale-based firm, Premier Sales Group Inc., works with developers from the outset to create a unique brand and image for their product. In Hollywood, for instance, Premier marketed Duo, a two-tower high-rise west of the Intracoastal, as a pet-friendly destination. The firm convinced developer Triad Housing Partners LLC to install a pet "groom room" in the common area. The groom room will have a full set of bathing, blow drying and grooming stations for pups available to the condo's residents, or to groomers they may hire. "Pet lovers are impressed when a project is not only pet-friendly, but also offers this fabulous amenity specifically geared towards their four-legged friends," Ellert says. "People get excited about these little things and they give it a little something extra that's memorable," Ingber adds. Premier specializes in pre-development branding and positioning of condominiums. The company's 60 employees often start by naming the project, then go on to create a brand image, craft marketing, and finally staff the sales office and sell the units. Ingber has experience in advertising and marketing, while Ellert has a background in graphic design, and the pair credit their training outside of real estate for making them more attractive to developers looking to outsource marketing and branding work. "Marketing strategies are determined by creative brainstorming, which is based on the results of analyzing the local market and feasibility," Ellert says. "An important aspect of our craft is that we're on top of the trends." Joel Altman, CEO of Boca Raton-based developer The Altman Companies, has done a total of six projects with Premier, including projects currently in development. He says it was Ingber and Ellert's knowledge of the real estate business, merchandising background and hands-on attention that persuaded him to partner with the company. "We develop to satisfy the customers' wants and needs and they define what these are," Altman says. "They also understand the planning aspect of it." Altman often relies on Premier from the very earliest stages of project development. "[They] may even review a site with us," he says. According to Altman, the pair is involved in everything from the floor plans to the finishes his projects offer. While they have been described by others who have worked with them as "tough" and "pushy," Altman says, "That's just how it works with them." The large volume of new condos on the market and the corresponding saturation of real estate advertising makes strong branding and positioning even more important for a project, says Kevin Tomlinson, a master broker with Coral Gables-based Esslinger Wooten Maxwell Realtors Inc., According to Tomlinson, there are somewhere between 50,000 and 60,000 condominium units planned for Miami-Dade County, 5,600 in Broward County and 4,000 in Palm Beach County. "In this sophisticated market. 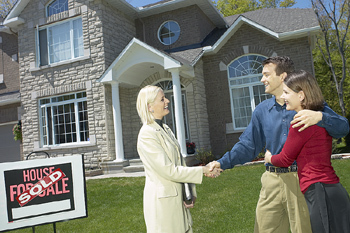 You have to capture your buyer right out of the gate; you can't afford to make a mistake," he says. Ingber and Ellert founded Premier in 2000, after 20 years of experience in the marketing and real estate business. The former New Yorkers originally relocated to South Florida in 1993 to head up Florida operations for The Sunshine Group Ltd., a well-known New York condominium marketing and sales firm. Today, say Ingber and Ellert, they have an average of 10 open sales offices tri-county, in addition to four to five projects in pre-selling development stages. They say the company handled $710 million in total condominium sales in 2004, and project that it will handle $960 million this year. According to a source in the South Florida condominium marketing industry, who has worked with Premier and other area marketing firms, most companies in the industry keep 2 percent to 3 percent of their total sales volume. That would put Premier's 2004 revenues around $1.5 million, with $1.9 million projected for 2005, in addition to fees they may earn for work on pre-development marketing. Although the firm could likely bring in more revenue if Ellert and Ingber took on every client that approached them, Ellert says part of their business model is to grow at a manageable rate by not accepting more projects then the company can handle. This allows the pair to have direct involvement with every project. It also lets them be picky about which developers they work with. "We choose the clients that are going to let us work together as a team, the ones who let us put our input in," Ellert says. Indeed, the pair has a reputation for turning down work when they feel a developer will not jive with their style of doing business. "They are the only other people I know of right now in this business that won't take a project they know cannot work; in fact, I know of one they turned down," says Rosalia Picot, CEO of Fort Lauderdale-based Picot & Co. Realty Advisors Inc., another local condo marketing and sales firm. Ellert and Ingber are, however, slowly expanding. They are looking to projects outside of the state, and recently started work on a project near Washington for Bethesda, Md.-based developer Lerner Enterprises. Still, Ellert says they are cautious about growing too large. "The challenge is determining how many [projects] is too many," she says.